Vitamin A is the “natural” form of retinol. The human body produces it but sometimes it needs a little boost. One of the most popular over-the-counter products for that boost is known as TX Systems Afirm, or just “Afirm” for short. Afirm’s retinol skin care creams pack a powerful retinol punch, delivering a potent vitamin A (retinol) cocktail that promises to reduce fine lines and the effects of sun damage, while firming, smoothing, toning and improving the look and feel of the patient’s face. For men and women with aging and damaged skin, retinol creams are a very popular choice, with their ability to rewind the chronological clock. And they’re popular for good reason. DrSkinSpa.com is an Authorized Retailer of Elta MD. All Products are Guaranteed Authentic & Fresh. Vitamin A is the “natural” form of retinol. The human body produces it but sometimes it needs a little boost. 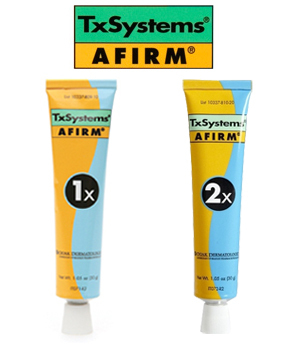 One of the most popular over the counter products for that boost is known as TX Systems Afirm or just “Afirm” for short. Afirms’ retinol skin care creams, pack a powerful retinol punch, delivering a potent vitamin A (retinol) cocktail that promises to reduce fine lines and the effects of sun damage, while firming, smoothing, toning and improving the look and feel of the patients face. Afirm retinol products offer three different formulas, covering all skin types and making the brand a universal solution for retinol cream maintenance. All three Afirm retinol products (Afirm 1X retinol cream, Afirm 2X retinol cream, and Afirm 3X retinol cream) promise to provide an easy at home maintenance solution for patients and are fragrance free. Afirm 1X retinol cream was created for those with sensitive skin in mind. 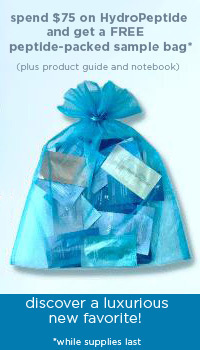 Especially important to note, for those with sensitive skin, is the trademarked Microsponge* technology that reduces the possibility of irritation with the entire line of Afirm products. Afirm 1X contains .15% retinol. Afirm 2X retinol cream was designed for those with normal skin. Afirm 2X contains .30% retinol. And finally, Afirm 3x retinol cream was designed for those with more tolerant or oily skin. Afirm 3X contains .60% retinol. Afirm 1X, Afirm 2X and Afirm 3X are all three topical creams that go to work directly on the skin, rejuvenating the skin, supporting cell renewal and producing the appearance and sensation of healthier and more youthful skin. 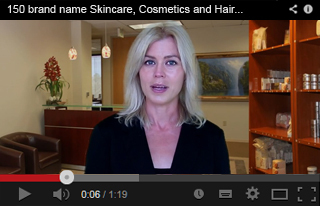 Retinol can cause skin irritation. To decrease that possibility, try starting out with the Afirm 1X to let your skin slowly get used to the dose of retinol before increasing the potency and using the Afirm 2X and 3X. Retinol has been known to cause birth defects, so pregnant women or women who are trying to conceive should refrain from using or talk to their doctor before using this product.